I received this box as a promotional item. This is not a sponsored review. All opinions are 100% my own. My apologies for being so behind on getting this up. This box arrived the very last week of July and since then I have been busy getting the house all ready to move. 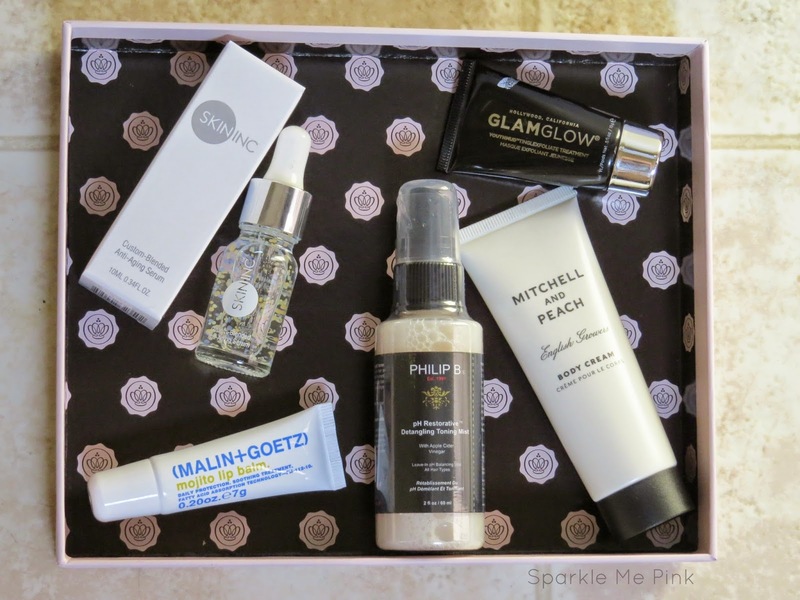 Do you subscribe to Glossybox ? I am so excited to see this box arrive every month especially when I wasn't expecting this one. Funny story : I actually opened the garage a few minutes before leaving to get my son from school the day this arrived. So when I went to get in the car I saw this box in my garage on the floor and almost threw it out !!! I know ! I thought it was last months box that must have fallen out of the garbage. I guess the mailman must have come and placed it there the 2 minutes my garage was open. Phew I am so glad I had the sense enough to open it first. I used this for the first time last night. It did not irritate my skin which is actually a big deal. My skin gets upset over everything and either breaks out or gets these tiny little red bumps / burn sort of patches. This didn't do that to me. I will have to try it a bit more to see it it works as well as it states it does. I have tried this before and like to use it as sort of a masque spot treatment on breakouts. Only the ones that surface though, this doesn't work on cysts. I am keeping this for our honeymoon trip In October it smells fancy. And it is super expensive ! I totally forgot this came in the box until I went to type this up. I'm definitely going to have to give it a try ASAP ! 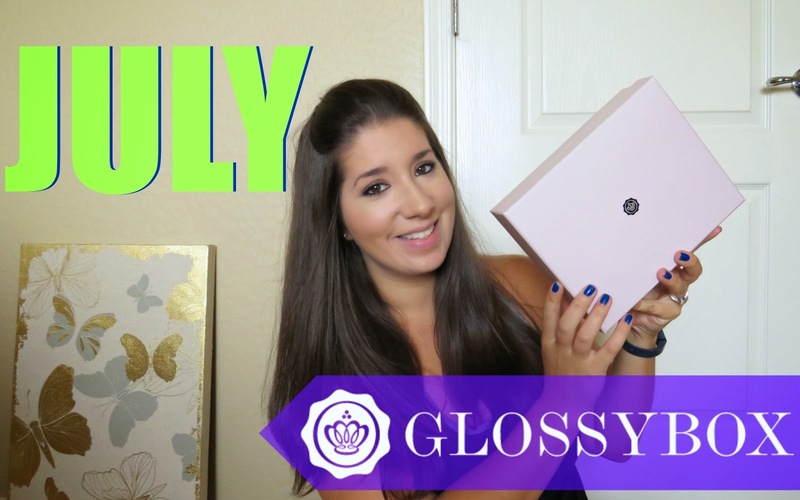 Comment below and tell me - What do you think about July's Glossybox ?